Technology changes much faster than most business can keep up. The proliferation of mobile technology, the Internet of Things (IoT) and cloud computing has changed the types of “assets” connected to networks. Implementing cybersecurity “best practices” across an increasingly unstructured and decentralized network is one of the most vexing challenges facing companies today and only if it is part of the overall business strategy it can be planned for and done in the right way! Cyber security is very organization specific structure. It needs to be understood from organization perspective and critical business operations. The cyber security threat has become more complex, and organizations must first understand what it means for them, the level of acceptable risk and key areas for investment in cyber security. Cyber security flows in the organization as a part of culture hence it needs to be integrated across personnel, technical security, information assurance and physical security. 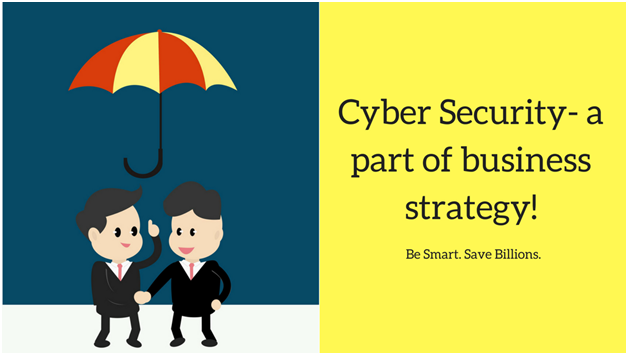 An effective cyber security strategy must work across an organization’s security measures. It is also possible to make smart interventions in key areas of vulnerability to boost overall cyber security. Establish protective monitoring to prevent and deter the ‘insider’ threat. Protective monitoring offers a holistic view of cyber-related activity across an organization and supports a positive culture to deter counter-productive behavior. Be ready when it happens. To have a contingency plan is a very good practice. Plan on this basis and make it part of your organization. When you are ready for a successful cyber-attack, and it means you have skills and resources to quickly identify and isolate problems, determine the level of investigation and response required, and maintain business as usual. Importantly, security measures should make organizations more resilient, and not restrict core business. Approach your security capabilities from a device-level, bottom-up perspective instead of the centrally-controlled, top-down view. Security capabilities have not dramatically changed — traditional controls such as firewalls, intrusion prevention systems (IPS) and two-factor authentication (2FA) remain relevant. It’s the application of these controls that needs to be re-applied depending on the context of the device or node. No doubt, an organization can save in billions in terms of loss of business, reputation and monetary losses if an organization is compromised. Prevention is the only cure. Logix Infosecurity helps its client partner to upgrade and develop cyber security solutions needed for a particular organization needs. Our expertise can help integrate your cyber security better with your organization’s overall security. Cyber Security, Email Security CIO security, CIO strategies, CIO strategies cyber-attacks, cyber security, cyber-attack. permalink.